Product prices and availability are accurate as of 2019-04-21 07:52:54 UTC and are subject to change. Any price and availability information displayed on http://www.amazon.com/ at the time of purchase will apply to the purchase of this product. 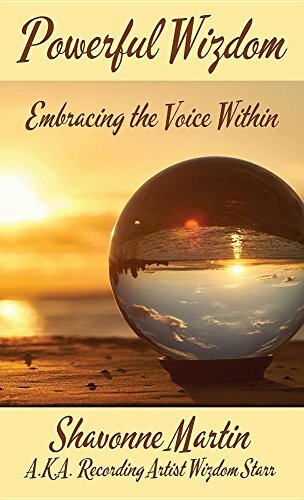 Powerful Wizdom: Embracing the Voice Within is a powerful and inspiring book by emtertainer Wizdom Starr. Published by Bookstand Publishing, Powerful Wizdom: Embracing the Voice Within has generated a lot of interest and excitement and we think it would be an excellent addition to your library. In this book, I hope to inspire and uplift souls throughout their journey in life. I pray that my words will reach a special place in your heart and be a guide to embracing your inner voice. Connecting with the power within will allow spiritual freedom, insight and balance. That may not have been believed to be possible before. You will begin to make changes for the better by giving yourself the personal attention you deserve. I invite you to take a journey with me. A journey of embracing the voice within. From poverty to royalty of the spirit.